© 2019 Chorazy and Sieklucka. 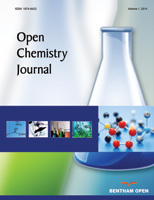 I am completely satisfied with the service I received from Bentham Science Publishers, right from the submission of our research paper in ‘Open Chemistry’ to its publication in the journal. The reviewers' and editor's comments were very helpful in improving the paper. I take this opportunity to express my appreciation to the whole team of BSP!